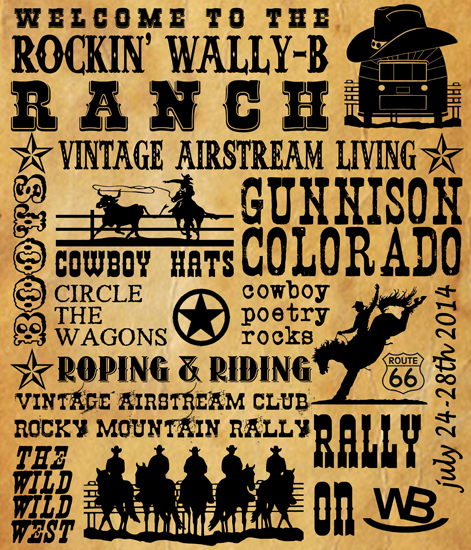 at the Rockin’ Wally B Ranch for our twelfth RMVAC Rally. This year we asked people to share micro-beers from their local communitees for a little beer-tasting and also share their talents with a Plein Air painting sessions accompanied by some very original (and entertaining!) 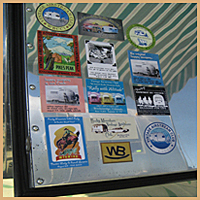 Airstream Haiku Poetry and lots of Ukeleles. 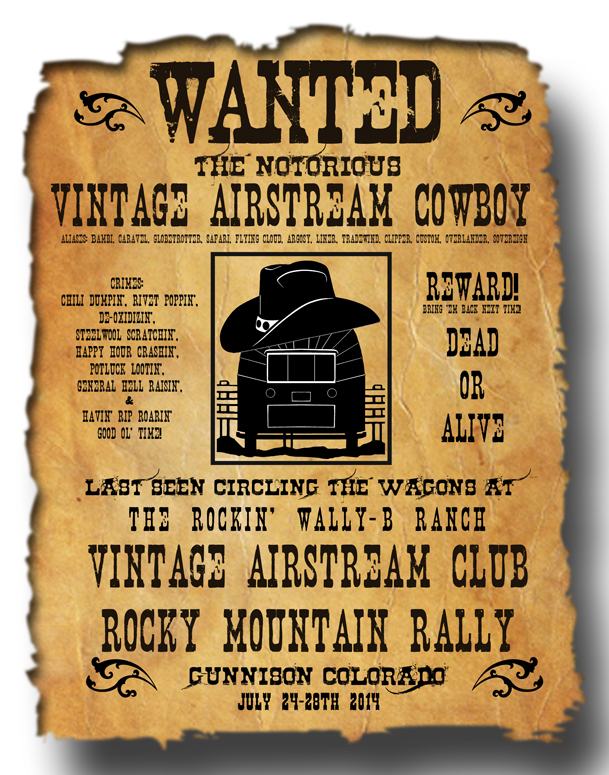 The evenings at the Rockin’ Wally B Ranch were teaming with Airstreamers dressed in their finest cowboy outfits and prettiest cowgirl dresses including some pretty fancy boots! Besides the western attire, rally attendees were asked to participate in the "Battle of the Bands"...hatbands that is! Lots of creative folks threw their hats in the ring for this one! Not to be outdone by the Texan contigent...who brought all the fixin's for a roasted pig dinner! The smoke and smells drew everybody out of their trailers for the "Potluck"...yum! Then finally, keeping with the Spaghetti Western theme we settled in for some late night popcorn and watched "The Cowboys" with John Wayne. ...see you in July 2016! Until next time...travel safe & keep the shiny side up!